My commute has quickly become my favorite part of the day, for two reasons. One is the scenery. You guys, I know Kansas gets all sorts of flak for being a fly-over state, and flatter than a pancake, and I've never heard anyone rave about natural beauty around here, but I'm totally falling in love! So, there aren't my beloved mountains, but our side of Kansas is actually not particularly flat (so surprised by the hills I have to climb every day on campus!). And it's no New England, but there are actually trees that change color here! A real fall! My drive through thirty miles of sparsely populated country and farmland surprises me every day with just being spectacularly beautiful. I've loved watching the scenery change through this month of October, as various trees and plants have flared in beautiful brilliant colors. It just fills my soul to be surrounded by such natural beauty. And every day I promise myself that I'm going to pull over to the side of the highway and take pictures, just to show everyone how beautiful Kansas is (but of course I never do, because I'm always in such a rush to get home or get to school). The second reason I look forward to my commute is obviously, the audio books. Long stretches of beautiful scenery, easy driving, and wonderful books? When things are particularly rough, I'll find myself thinking "Well, in a couple hours I'll be driving home, with nothing to do but listen to my book!" It is the me-time that is getting me through this crazy stage in our lives right now. I was able to finish five books in October, which brings my total to the year to 54. So, I've already reached my original goal of reading 52 books (a book a week), with two months to go! And I read some really good ones this month, so let's chat about them! Okay, when it comes to the month of October, I'm always on the lookout for good, creepy, suspenseful, thematic reading (that's not horror). I loved Rebecca, so this year I planned to try another DuMaurier in the hopes it would be another haunting, suspenseful, beautiful read. And, I will say this was beautifully written. 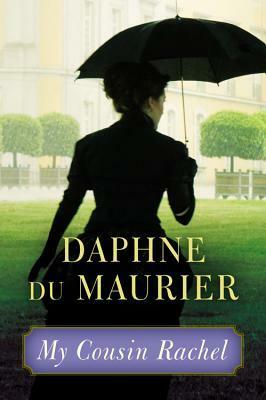 DuMaurier has impeccable command of the language, I just enjoyed listening to these sentences being read aloud. It was gorgeous. But, both the plot and characters are extremely stupid. Everything about the characters is Freudian and frustrating and supposed to be mysterious but is mostly just ridiculous. I cannot recommend it for the plot or for any likable characters, but if you appreciate beautiful writing (and have already read Rebecca), then you might find some value in this one. I read Rules of Civility a few years ago, and while I recognized at the time Towles could turn a lovely phrase, I just couldn't bring myself to appreciate the characters in that book. So many stupid choices! However, I'd heard such high praise for this one that I was more than willing to give it a shot (this one wasn't getting compared to The Great Gatsby, so it had that in its favor). And you guys! This one is in strong, strong contention for my favorite book of the year! It was just... amazing. I don't really know how to describe it, because it's not plot heavy at all (although there is a meandering kind of plot), and its place is slow and philosophical. But I LOVED every single character in this book so much, and the writing was incredibly gorgeous. I couldn't stop listening to it, but didn't want it to end. I was so sad when it was over, and definitely plan on rereading it again. 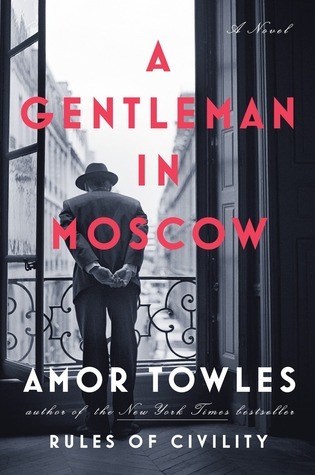 It felt like a funny, mostly happy homage to Russian literature (which is usually neither funny nor very happy), and it made me want to go back and read Tolstoy and Dostoevsky and all those other classic greats (really, Russian literature is soooo goooood!). I just can't praise this one highly enough, except to say that I wouldn't mind owning this one (which is high praise coming from me). This was my second attempt at a thematic October read. 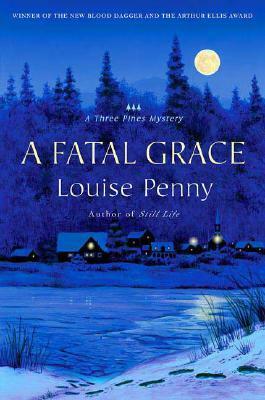 Nothing like a good murder-mystery to set the tone, right? I read Still Life last year, and it was quite enjoyable. Also, it took place in October, so it just felt wonderfully suited. This one, however, takes place over Christmas time, so it felt less appropriate for October (although, I'm not sure a murder-mystery is appropriate Christmas reading either). And while I still quite enjoyed it, it wasn't quite as good as Still Life. For one thing, I guessed who the murderer was from almost the beginning. I know some people would consider this a triumph, but I'm terrible at guessing this kind of thing, so if even I could spot the murderer, I think it means this one just wasn't clever enough. It surprisingly lessened my enjoyment to guess correctly so early on. Also, Inspector Gamache made some comments at the end about not liking the name Suzanne, so obviously there was some love loss there ;). All in all, I think I liked it well enough to try the third in this series, but it better live up to the first one or I might give up. This was my third attempt at an October themed read, as what could be better than a retelling of a favorite, creepy gothic novel? And here's what I'll say: it was fine and enjoyable enough. 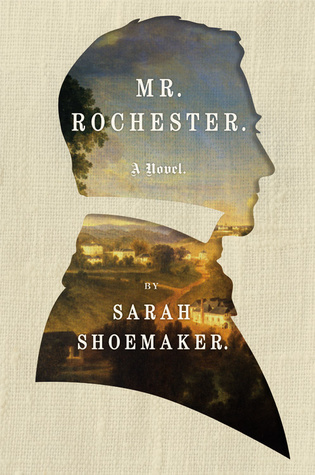 There were some clever things Shoemaker did to flesh out Mr. Rochester's backstory. But in the end, it just couldn't live up to the excellence that is Jane Eyre, so immediately after I finished reading this one, I tried to go read that one. Alas, it's not available as an audio book through my library (why?!?). To make up for not being able to listen to Jane Eyre, I settled on the next closest thing: Jane Austen. 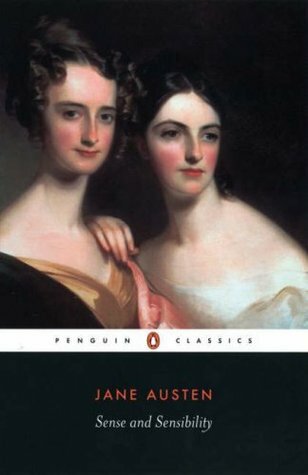 In retrospect, I probably should've picked Northanger Abbey instead of Sense and Sensibility, as that one is at least a parody of the Gothic genre, but instead I finished up this very un-creepy, very delightful novel on Halloween morning. It's been a long, long time since I've read Sense and Sensibility, but it was so wonderful to bask in Austen's beautiful language again. Apparently it inspired me to go an Austen kick, because I've already finished Pride and Prejudice and started on Persuasion (but you'll hear about those in my November wrap-up), and might see what other Austen novels I find available this month. The literary family themed costume lives for another year! I just couldn't resist resurrecting this family costume, considering we now live in Kansas. Luckily the boys were on board with this, especially after we watched The Wizard of Oz for Friday night movie night (they loved it!). Our little scarecrow talked excitedly for weeks about being a scarecrow, but was less enthusiastic about actually wearing his costume (he cried for 10 minutes after I wrestled the shirt onto him, and point blank refused to wear the straw hat). It was classic, all around. (Check out last year's post to see the history of our literary family themed costumes.) Hope you all had a Happy Halloween! And what did you read this month? I also really loved Gentleman in Moscow! I just can't get over how breathtaking the writing was, and I'm with you--if I want to own a book, it must be REALLY good! I've still never finished Sense and Sensibility (eep!) though I've started it several times. It's not that I don't find it interesting, even---it's just that I get sidetracked by my holds coming in at the library and me shelving the book for long enough that I feel like I need to start over again, lol. But since it's on my "assigned reading list" for this academic year (that I created for myself), this is going to be the year that I finally finish it, dangit! I totally know the problem of getting side-tracked by the new and the shiny! But, still, it is a good one when you get around to it. Have you read any other Austen novels? Or is this the only one you have trouble finishing? I wasn't immediately wowed when I read Rules of Civility. I think I only gave it a three star rating. But that book has stuck with me and because of that I have a higher opinion of it now than I did when I finished the final sentence. You're right in that it feels very, very Russian. I can see how some wouldn't find it very striking on a first read. But I think it's always a testament to the writing when it can stick with you, and even improve with reflection.